Sensational discovery of the mechanism of formation and the internal structure of the Moon. The properties and composition of the Moon are discovered, which is the outer shell inside which the gas is located. The properties and composition of the Moon in a popular form are set forth in the scientific and practical journal «Высшая школа» № 25 January 2018 year. Certificate of state registration of UI № ФС 77-38591 ISSN 2409-1677. Additions to the discovery of the constant inverse of the speed of light and the refutation of the postulates and Einstein's law are published in journal «Аспирант и соискатель» № 1 for 2019 year. Publisher «Спутник+», city Moscow. Certificate of State Registration PI № 77-39976 ISSN 1608-9014. The discovery of the mechanism of formation of gravitational forces, cosmic opposition forces and forces of cosmic interaction, which are published in journal «Аспирант и соискатель» № 1 for 2019 year. Publisher «Спутник+», city Moscow. Certificate of State Registration PI № 77-39976 ISSN 1608-9014. The force of gravitational gravity between two material bodies located in the space of the solar system was discovered, which was published in the scientific and practical journal «Высшая школа» № 12 for 2018 year. Publisher «Инфинити» City Ufa. Certificate of State Registration PI № ФС 77-38591 ISSN 2409-1677. A new reverse speed constant has been opened, which is taken from the description of the application for invention. № 2012142735 for 09 October 2012 years and in a popular form set out in the scientific and analytical journal «Научный обозреватель» № 1 for 2013 year. Publisher «Инфинити» City Ufa. Certificate of State Registration PI № ФС 77-38591 ISSN 2306-9147. Evidence of the existence of a planetary model of the structure of the atom is based on the new laws of the formation of planets and galaxies of our Universe, which are taken from the description of the application for invention № 2005129781 for 28 September 2005 years and popularly set out in «Журнале научных и прикладных исследований» № 11 for 2015 year. City Ufa. Certificate of State Registration PI № ФС 77-38591 ISSN 2306-9147. The refutation of the nuclear model of the structure of the atom is open, which is based on the new laws of the formation of planets and galaxies of our Universe, which are taken from the description of the application for invention № 2005129781 for 28 September 2005 years and popularly set out in «Журнале научных и прикладных исследований» № 11 for 2015 year. City Ufa. Certificate of State Registration PI № ФС 77-38591 ISSN 2306-9147. Annotation. The article is devoted to the sensational discovery of the internal structure of a gas sphere separated from the surface of the Sun and containing particles of cosmic dust from the conductive elements of cosmic matter. 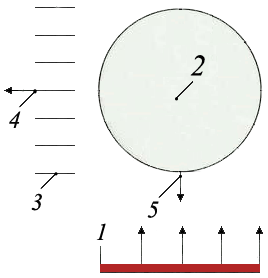 Inside the gas sphere, a gradual formation of an internal confined space takes place from the retroreflective shell of a frozen gas, inside of which an intensive movement of gas flows is formed that promote the formation of thermoelectric currents from a temperature difference between one base of a solid thickened shell and another base of a hard, thin shell. The intensive movement of gases in the sphere of the moon creates an acceleration of free fall of the bodies of the moon 3.66 times more than on planet Earth. The gas mixture with particles of cosmic dust having the conductive elements of cosmic matter gradually formed into the moon and away from the surface of the sun. This scientific discovery will help us to take a fresh look at the work of the space satellite of our planet, which will never turn its back side to planet Earth. The formation of the moon occurred from the emission of a gas mixture from the surface of the sun. The gas mixture with particles of cosmic dust having conductive elements of cosmic matter separated from the surface of the Sun and was located in the substance of outer space. With the help of the acceleration force of free fall of bodies around the Sun and the forces of cosmic counteraction, the gas mixture with cosmic dust particles having conductive elements of cosmic matter was gradually formed into the Moon and away from the surface of the Sun. Let us prove this phenomenon of nature with concrete examples that will be supported by the laws of Belashov. The distance from the surface of the Sun to the surface of the planets of the Solar System is directly proportional to the acceleration of free fall of bodies in the space of the measured material body at the diameter of the measured material body and inversely proportional to the acceleration of free fall of bodies around the Sun. D и - diameter of the material body being measured, m.
Knowing the diameter of the moon and the average distance from the surface of the sun to the surface of the moon, we can determine the free-fall acceleration module of bodies on the Moon. For example, we define the free-fall acceleration module of bodies on the Moon, a satellite of the planet Earth, which is at an average distance from the surface of the Sun. D л - diameter of the moon's satellite = 3476280 m.
A new law for determining the acceleration of free fall of bodies in space around the Sun was discovered and published in a scientific journal «Высшая школа» № 17 for 2017. According to modern data, the module of the acceleration of free fall of bodies in space around the Sun = 0,00083675979083612040133779264214032 m/s². For example, according to the new law, we will check the module of the acceleration of free fall of bodies in space on the active planet Earth, which is at an average distance from the surface of the Sun. D з - diameter of planet Earth = 12756200 m.
For example, according to a new law, we will determine the distance from the surface of the Sun to the surface of the Moon, which has lost its own free-fall acceleration module of bodies in space and approached the surface of the Sun. Figure 1 shows the mechanism of the beginning of the formation of a gas shell 2 separated from the surface of the Sun 1 containing a mixture of gas with cosmic dust particles having conductive elements of cosmic matter in space substance 3 that moves in the space of the Solar System 4. The gas shell 2 is acted upon by the acceleration force of the free falling bodies around the Sun 5.